It’s time for the 2018 Elk Lake Paddleboard Race Series! Race #1 takes place August 11th and the grand finale occurs September 8th! Online registration for adults is $35; day of race registration (8:30 – 9:30am) is $40. Youth (under 18) registration is $20. Competitive races begin at 10:00 a.m. There will a long race of 5 miles and a 1.7-mile short course. Youth races will follow. Award ceremonies and a BBQ lunch will follow the races with great prizes from our sponsors! All proceeds will benefit the Youth Paddle Brigade, which is our Bend youth paddle team. 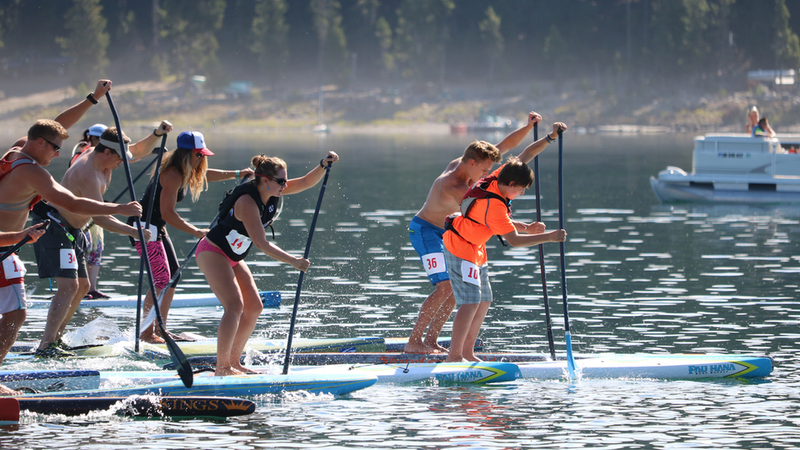 The Elk Lake race is a family fun event and get way to enjoy the sport of Standup Paddle Boarding. There will be sponsor vendors, free paddle board demos, music, and more fun actives happening at the Elk Lake Resort.